Client focused design is in our DNA – make your workplace a catalyst for success. 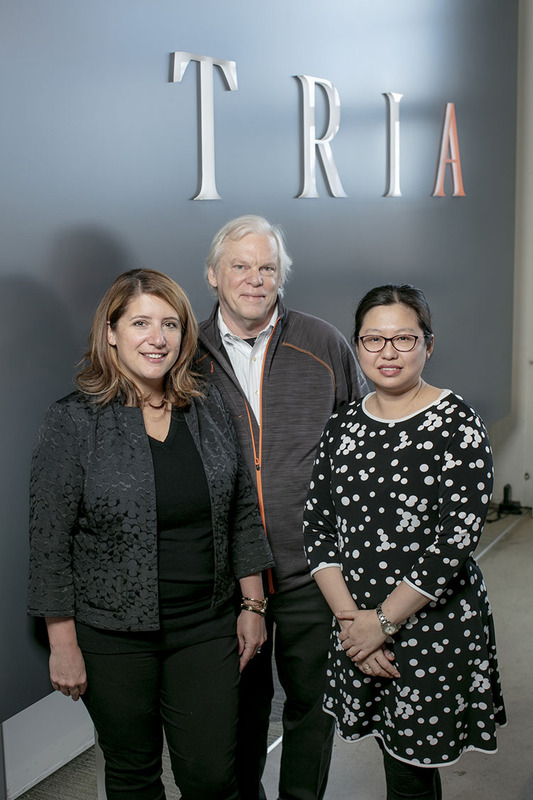 At TRIA, we’re genetically coded to approach every design project as an opportunity to help clients’ success. We do this through an approach that’s informed by three key principles. Your teams work best within spaces that are designed both for human beings and the equipment they need to accomplish their work. We balance design discipline with innovative imagination to deliver workspaces that make sense on paper and in real life. Relationships are everything. We take our commitment to clients seriously, which means working elbow-to-elbow to envision success, solve problems, and deliver exceptional results. Creating new spaces costs money, takes time, and can disrupt normal operations. Because we understand both our clients’ technical complexities and their financial realities, we consistently deliver great results, on time and within budget. Having designed award-winning workspaces for clients from Biogen and Novartis to Sanofi, P&G, and Takeda, we set high expectations—and challenge ourselves to exceed them every day. We put as much value on approaching projects with precision and logic as we do on developing relationships. We know from extensive experience that understanding both the technical requirements of a space and the needs of the people who will occupy it are equally as important. It’s what makes the final outcome of the space really work for our clients.